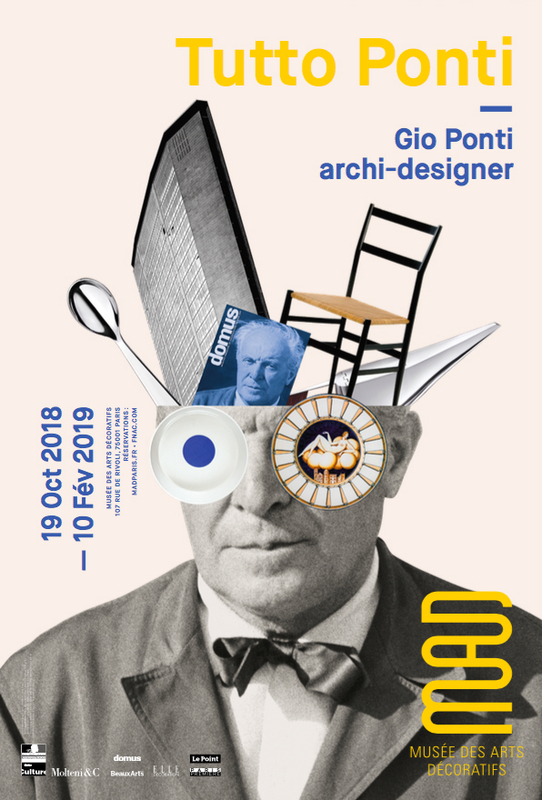 Considered one of the most influential architects and designers of the twentieth century, Gio Ponti will be honored at the Musée des Arts Décoratifs in his first retrospective in France from October 19th, 2018 to February 10th, 2019. A prolific creator who was equally interested in both industrial and craft production, Ponti revolutionized post-war architecture, opening up the way for a new art of living. Over 400 pieces, some of which have never left their place of origin, trace this multidisciplinary display that combines architecture, furniture and interior fittings for private homes and public buildings (universities and cathedrals). The exhibition design was conceived by the agency Wilmotte & Associés in collaboration with the graphic designer Italo Lupi. Finally, six “period rooms” conclude the visit with spectacular reconstructions emphasizing the global aspect of his work. The garden- side gallery explores the collaborations that he undertook with major art-object manufacturers such as Richard Ginori, Christofle and Fontana Arte, as well as with artisans and smaller companies. Ceramics, glass and metalwork intermingle with works in papier mâché and enameled copper. The main hall – the backbone of the exhibition – is punctuated by five sections featuring major commissions, furniture, lighting and textiles, as well as architectural projects detailed chronologically through drawings, models, photographs and films from the period. 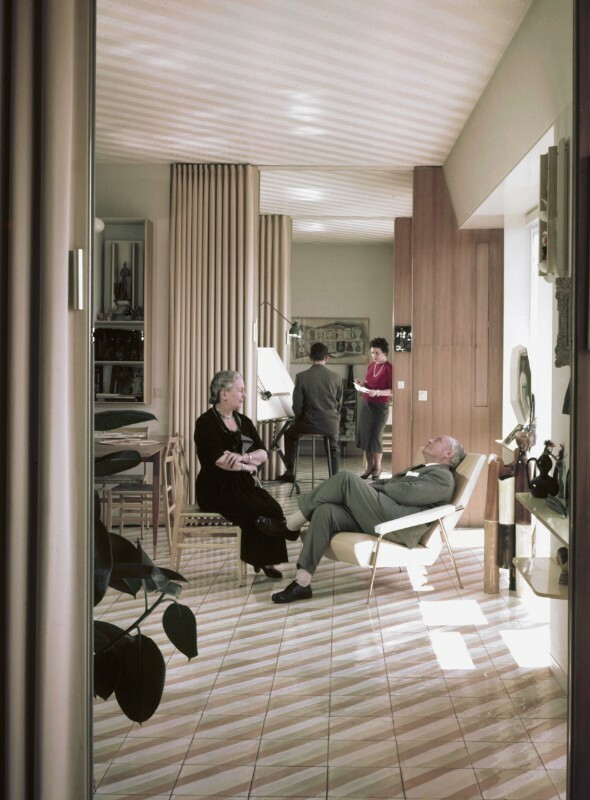 Finally, on the Rivoli side, six unique spaces have been conceived, each representing a decade, in order to highlight Ponti’s creations: l’Ange volant in the Parisian aera, the Montecatini building in Milan, the palazzo Bo - Padua University, Gio Ponti’s home on the via Dezza in Milan, the interior of the Parco dei Principi hotel in Sorrento and finally the Villa Planchart in Caracas. On the occasion of the exhibition, Gio Ponti Archives created a series of contemporary items using Gio Ponti's design printed fabrics. 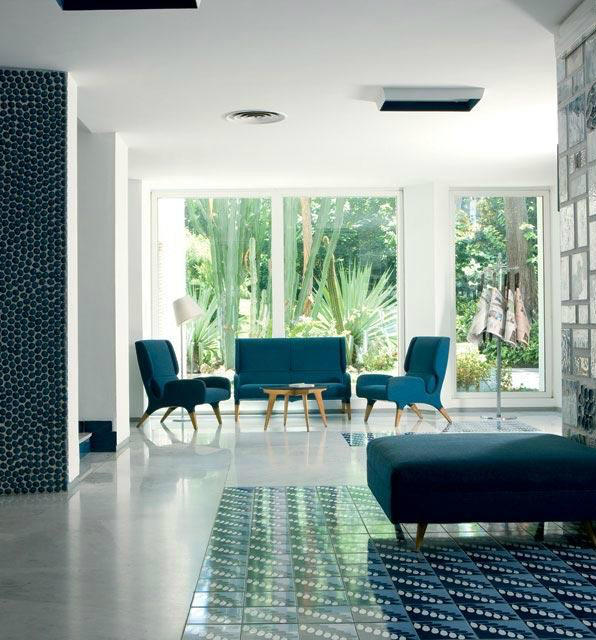 A limited number of objects and a limited edition collection of iconic images featuring Ponti's works.